Researching the leisure (play) activities of young people and comparing them to the activities of their parents and grandparents age. 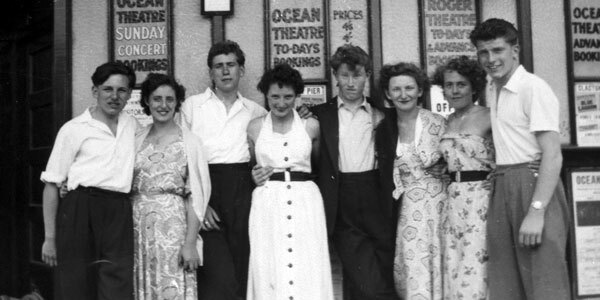 This is an intergenerational oral history project studying the changing nature of people’s leisure time in West Dorset (focusing on the County Town of Dorchester) over the last 60 years. It will see young people collaborate and share with the older population in a range of activities leading up to a final exhibition and the production of an app. Through the app we aim to engage wider section of the population in an interest of our local history, allowing us to connect the history we record to a specific site. Providing a framework for people’s learning about heritage. This project aims to preserve and capture memories and stories to ensure that an important part of our heritage will not be lost. Bring together Dorset’s different generations, breaking down barriers between the young and old of the county. For example during preparation of this project we often heard how people said in their younger days they were given six-pence, or a sandwich and a drink, and told not to come back till dinnertime, how they would go off all day with their friends, exploring. Nowadays this behaviour would be very rare and parents nowadays wouldn’t allow their children to go off on their own all day. With young people often portrayed as not leaving their bedrooms. To make this project happen a group of volunteers have been recruited to form our ‘Team of Investigators’. They will be undertaking oral history, enquiring of the older generation what they did for entertainment when they were young. While asking young people what they do nowadays in their leisure time. Hunting out stories that illuminate the past and shine light on our times. The team of investigators will undertake activities related to researching history using historical materials then visit their local archive for a presentation by a local historian/archivist and the opportunity to research relevant materials held by the archive. They will receive workshop training on oral history, interviewing, photography, writing, and sound recording techniques. Alongside this team of volunteers a group of young people from Thomas Hardye School will be undertaking similar research. The project will engage young people in the history of their area. Getting them to think about how places develop and how their area might change in future. Thomas Hardye are keen to see this project develop their students ability to work together and to build greater group understandings and skills. Moving students to become responsible people who engage in their own interpretations of the world around them. All the material we gather will create a rich new archive of material to be stored at Dorset History Centre for public investigations and used as an indispensable source of reference for future researchers. Allowing people to discover the views and feelings of ordinary people, through descriptive accounts of their experience and transcribed interviews. At the end a free iPhone and Android app for wider public consumption will be produced. The app will enable people with smartphones to play audio relevant to your location, automatically playing you an audio clip based on your GPS position. This app will help people wander and discover Dorchester, finding out a wealth of stories about the town. However people can also listen if they’re not near Dorchester, or do not own a smartphone. Dorchester Town, as are many towns throughout the country, undergoing some major changes. With a £100million redevelopment currently taking shape on the 11.5-acre site of the Eldridge Pope brewery into panoply of chain restaurants, high street stores, Odeon cinema and 400 new homes. West Dorset District Council’s controversial new office block in Dorchester’s Charles Street quickly becoming apparent. And work on the new pool and sports centre for Dorchester finally being built after an 80-year campaign. This project is building on the work digital:works did in Poole, working with a community group and Poole Museum. On a project called Our Working Lives (www.ourworkinglives.org). This was an oral history project recording people’s memories of leaving school and entering the workforce between 1945 and 1959. This project concluded with one of the museums most popular exhibitions, with over 110,000 people attending. We also produced a book with enclosed audio CD featuring snippets of people’s oral history, and a special audio bus tour of Poole’s working landscape. Digital:works is an arts and educational charity that works with communities, providing training and creative assistance to produce projects. Information about our work can be found at; digital-works.co.uk, or you can follow us on twitter (@digitalw0rks).